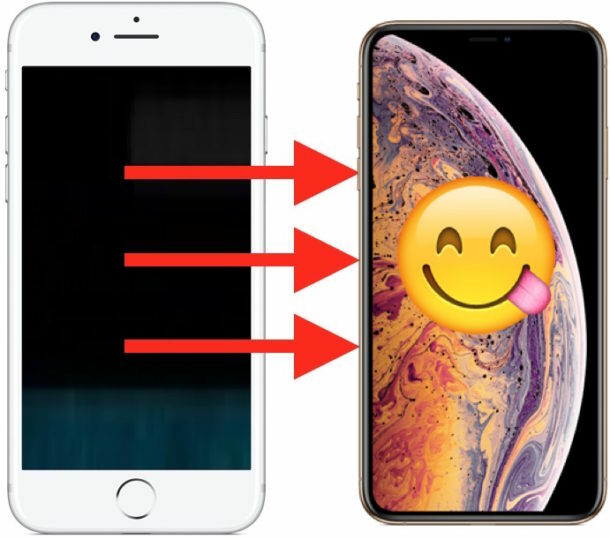 If you just got an iPhone XS or iPhone XS Max, you almost certainly will want to migrate everything from your old iPhone to your new one, so that your all of your data, contacts, photos, messages, notes, apps, and all other personalized data and stuff is transferred over to use on your new iPhone XS / Max. This walkthrough will show you the fastest way to get all of your data from an older iPhone to a new iPhone XS Max or iPhone XS with iTunes. Our focus here will be on using iTunes and a computer to transfer data from one iPhone to another because for many people using a USB cable and iTunes will be the fastest method of backing up and transferring data. You could use iCloud if you want to and happen to have an incredibly fast and reliable internet connection, but for most people iTunes will offer the quickest setup with getting all data over to their new iPhone XS or iPhone xS Max. To get started, you’ll need the latest version of iTunes (12.8 or 12.6.5) on a computer (Mac or Windows PC), a USB Lightning cable to connect the iPhones to the computer, an active internet connection, and enough free hard disk space on the computer to store the iPhone backup on the computer. In the examples here we will demonstrate transferring data from an iPhone Plus to a new iPhone XS using iTunes. All of your data, messages, notes, photos, movies, videos, contacts, health data, settings, and everything else will have been successfully transferred to your new iPhone XS or iPhone XS Max. One thing to note is that apps will re-download as part of this process, since apps are no longer backed up to iTunes by default on the main iTunes release track (iTunes 12.8) though you can use the alternate release track (iTunes 12.6.5) if you’d like. 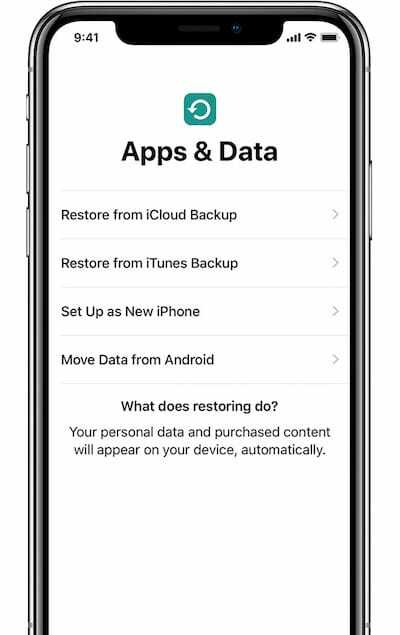 Remember to use the “Encrypt iPhone backup” setting, as this preserves your Health data as well as passwords, logins, and other important details in the iTunes backup. If you fail to encrypt the backup, you will need to enter all passwords again, and your health data will be lost. * To be clear, while we’re using iTunes here, you can also use iCloud backups or the optional Quick Start setup process to complete the entire migration and data transfer from an old iPhone to a new iPhone XS Max / iPhone XS. But using iCloud has a potential disadvantage in that how long it takes to complete is entirely dependent on your internet connection speed. For example if you have a 100 GB iPhone backup stored in iCloud, then downloading and restoring that 100 GB from iCloud to an iPhone can take half a day or even several days to complete on many typical home-based US internet connections, and most people won’t want to wait nearly that long before they can use their new iPhone (a 3 mbit/s DSL internet connection will take roughly 80 hours to download 100 GB!). But if you happen to have some modern world internet connection because you’re in a region of the world that has decent internet infrastructure with 100 mbit/s internet speeds, then using iCloud is easy and suitable, the entire process is basically the same except you’ll choose an iCloud backup to restore from rather than iTunes. Nonetheless, due to the huge variability in internet speeds, iTunes is often faster for most iPhone users since it uses a wired USB connection to complete the data transfer process.